Today I’m here with a brief tutorial on how to use a bias tape maker to make vines for appliqué. 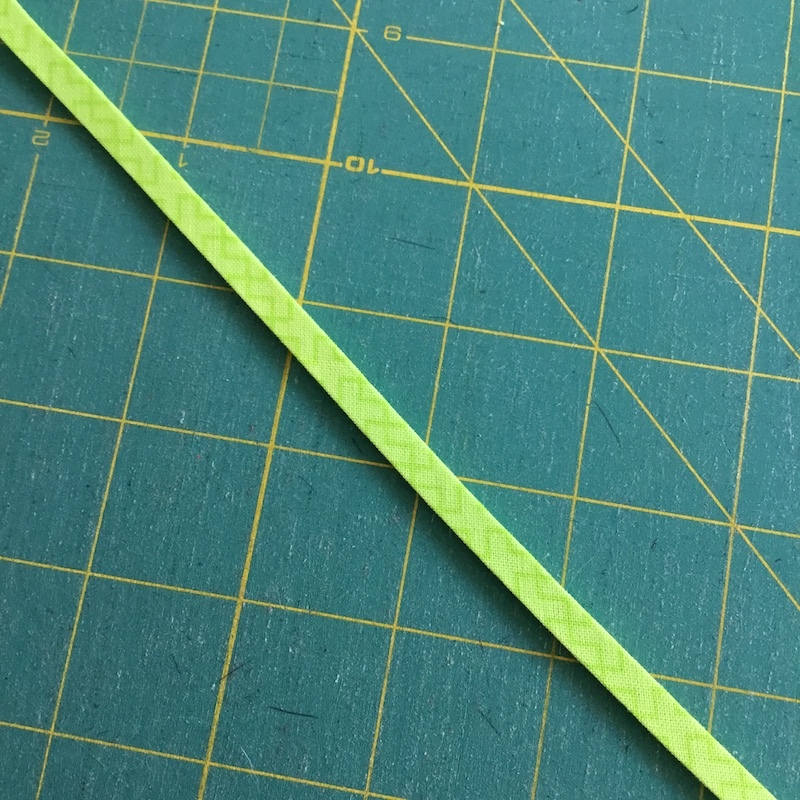 There are various sizes of bias tape makers, but I’m using the 1/4″ version made by Clover. 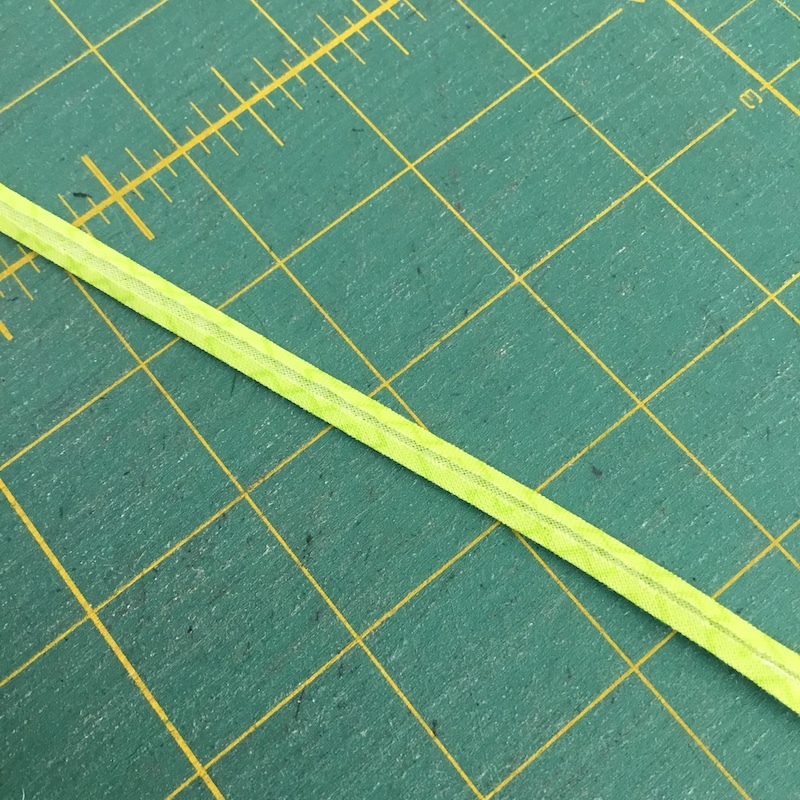 The size you need will depend on the finished size of the bias tape you want to make. 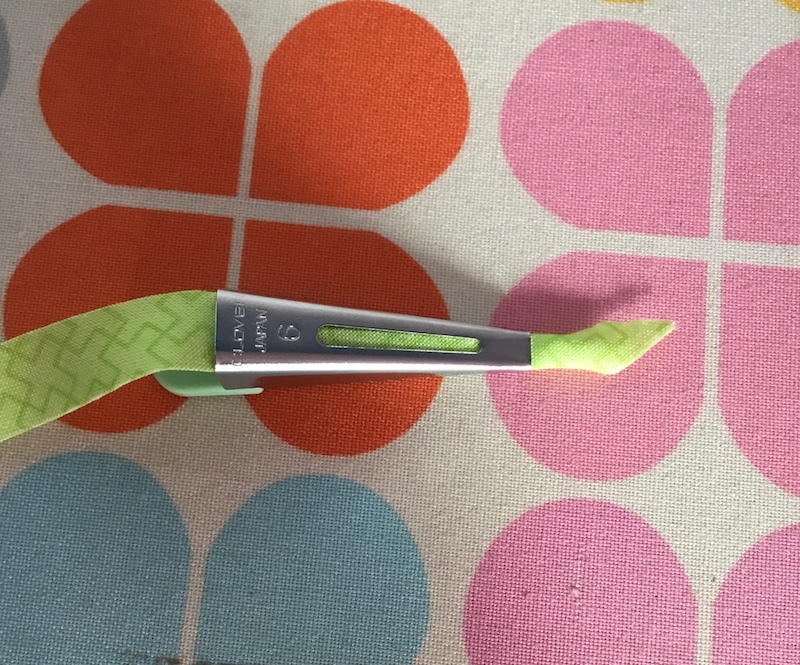 On the inside of the packaging that the tool comes in, it tells you how wide to cut your strips. You can do this with either bias strips or straight strips, and there are instructions included in the packaging as well. 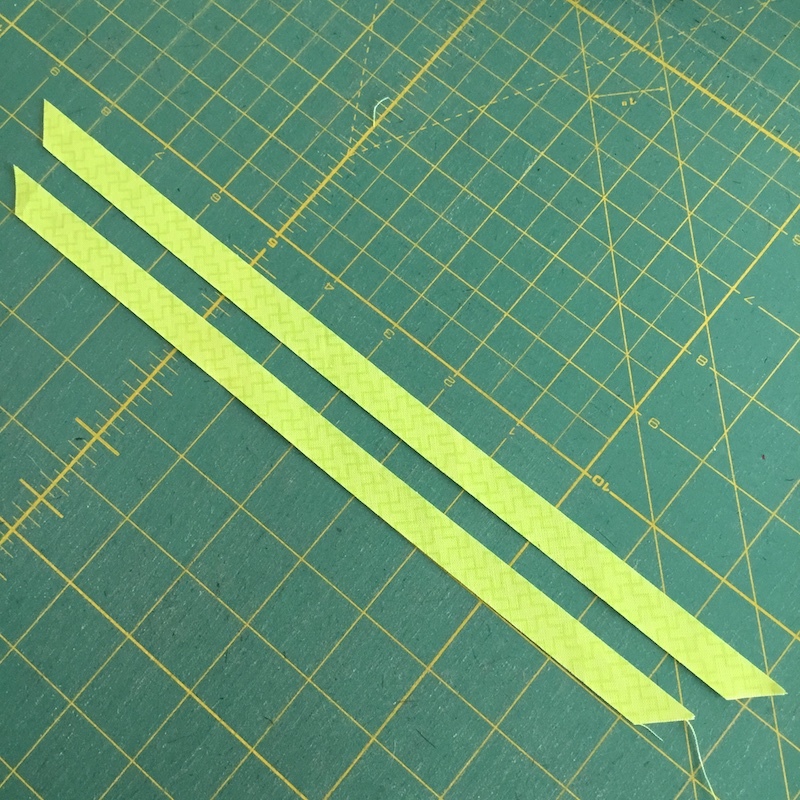 Since I don’t need very long pieces, I cut mine between 10″-12″ long. With the metal side of the tool facing up, insert your fabric strip into the wide end. When it gets far enough in, it will show through the little slot. If you need to help it along, you can use a stiletto or a pin to help pull it on through until it pokes out the narrow end. Next, turn the tool over, and begin pressing the piece. The edges are automatically turned under by the tool. 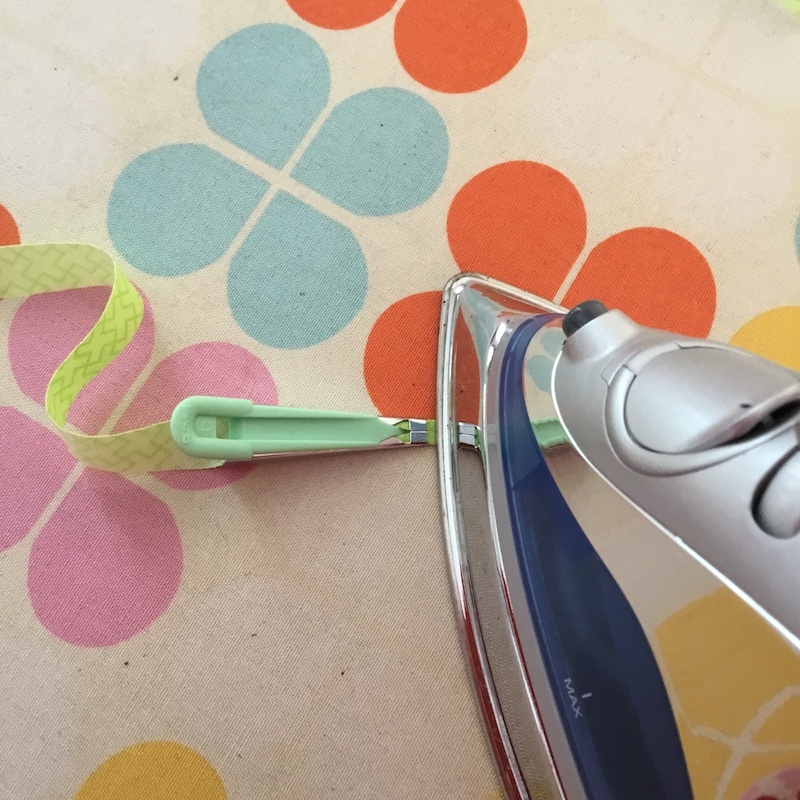 As you press, gently pull the tool along the strip and move the iron along with it. It’s best to keep the iron close to the end of the tool where the strip emerges, so that the edges don’t come unfolded before they get pressed. Continue along the entire strip until it has fed completely through the tool. You have a nice neat strip with the edges pressed under — like magic! It’s so easy! Here’s the strip from the right side, after being run through the bias tape maker. So nice and even, without having to work very hard at all! There! Wasn’t that easy? 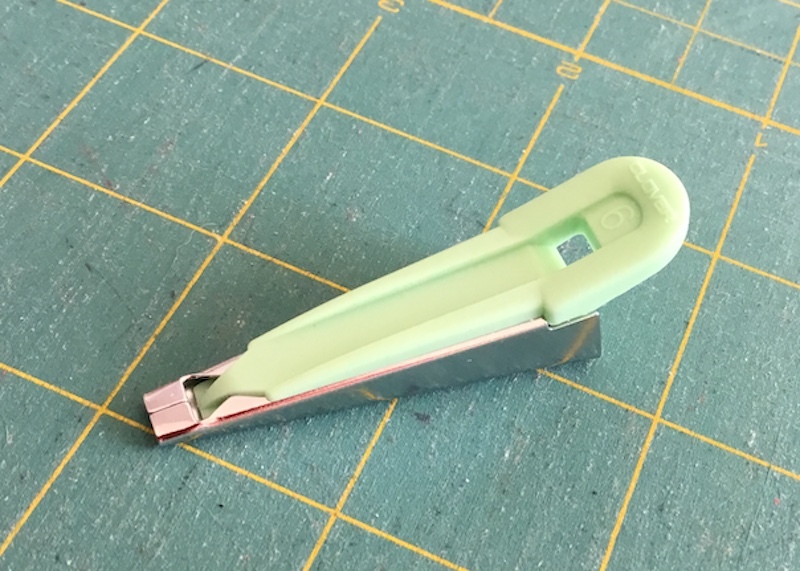 You can purchase this tool in lots of widths, and make your bias tape any size you need. And if you want to make it fusible, you can purchase Clover’s Fusible Web in the proper width and follow the instructions in the packaging to make it fusible. 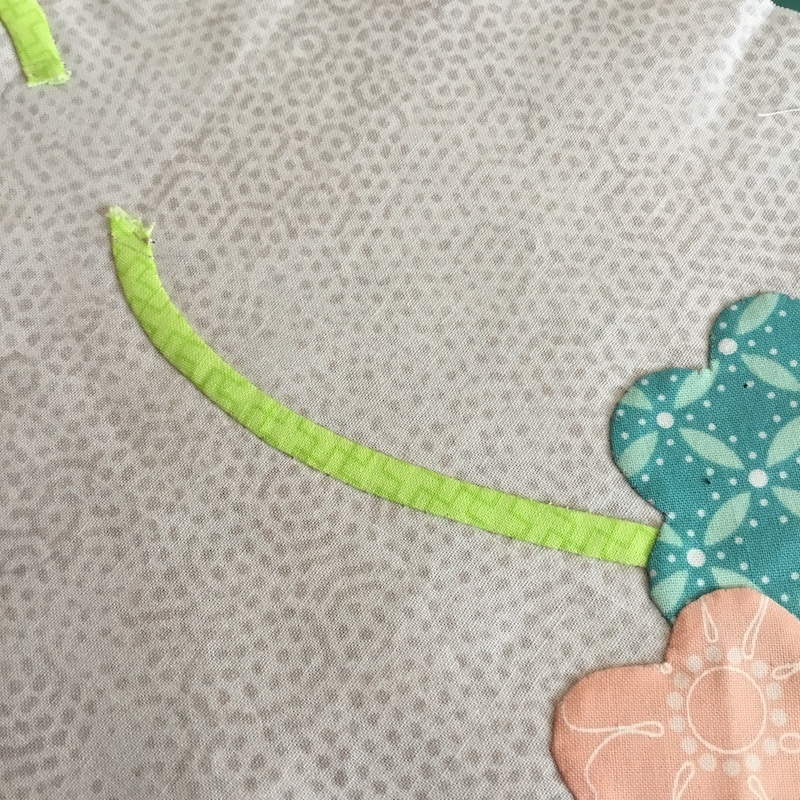 If you’re avoiding appliqué because of bias vines, fear no more — this makes it super easy! The challenge for me is feeling like my applique looks smooth and neat once it is attached. Thank you for tutorial on bias maker. I think the inside curves/valleys are the hardest for me in needle turn applique. Your little flower petals look very nice and sharp…mine come out rounded. Sigh. Thanks for the tutorial. It’s good to see how it actually works since I’ve been hesitant to use one on my 1/2″ stems. My challenge is getting the stems a uniform width. I’ve always wondered how that thing works. Thanks for the great info! Newbie here. I didn’t even know this was a thing! The part about hand applique that challenges me is that that it is time consuming. But I suppose that is because I am so slow!! Good tutorial, Shelly. 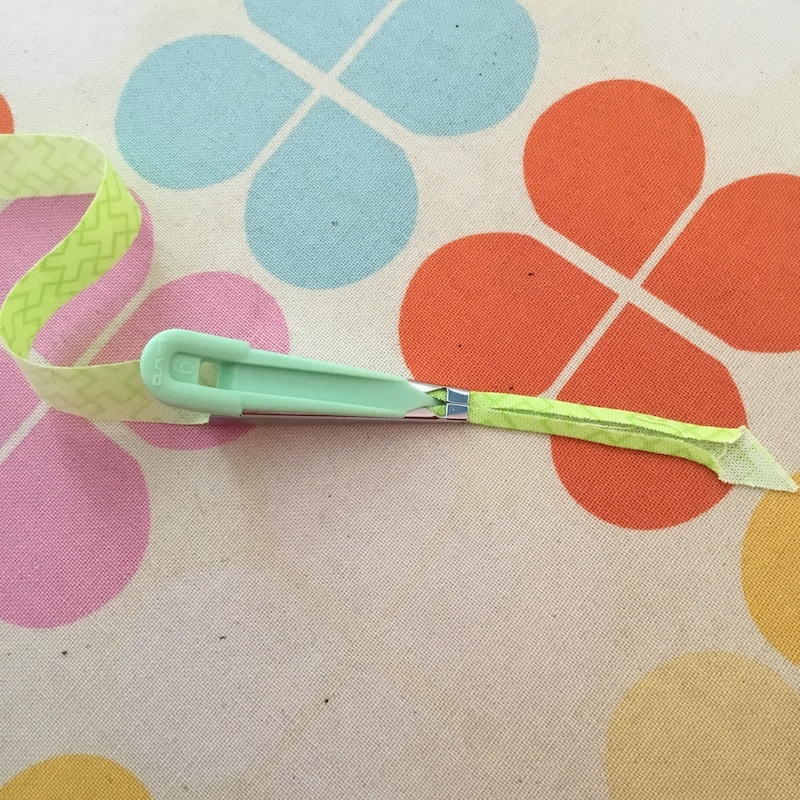 This bias tape maker would be great to use on the vines on the Hazel’s Bouquets wallhanging that I started ages and ages ago. I’ve made bias tape with one inch strips but none as narrow as this. I could certainly use that one for stems in my applique. I never thought the bias tape makes were worth the time until I saw your tutorial. I’ve never made anything that small before either though. I definately will have to get one of those! Or maybe I will be the winner! Great tutorial! The tool certainly beats my old method of finger pressing- and wobbling, as I applique. Thanks. Bias tape makers were some of the tools that were in my mother’s and grandmother’s sewing necessities, so I have some oldies (but still goodies). I’ve not used them much, but so glad I have them. Sure makes the vines and such so much easier! yes yes yes….. I am very clumsy and this is the tool for me.. I was thinking of adding some vines on an up coming top…. But mainly just ruminating about it. Fun tutorial with great detail! I am a very slow hand appliqué person so machine sewing is my choice. Looks like a great way to make the vines! I love the look of applique, but haven’t done very much of it–I usually do English paper piecing when I want hand work–maybe I’ll do more when I finish the hexie project I’ve been working on for the last few years. I have used this tool. It is great. Don’t think I have 1/4”.just started doing applique. It is relaxing, until I get to points. Still working on those. My challenge is believing that I have sewn the tips of leaves or the u-shapes well enough to last. I have done minimal applique. Usually corners are the most difficult. This looks like a good way to make vines, something I haven’t tried. Shelly thanks for sharing the tutorial as a relatively newbie never saw one pretty cool! I don’t know how to needle turn appliqué my only appliqué has been machine blanket stitch around the edges. Have a great day! What? It ate my comment… sigh, Happy holiday to you … I was thinking of you and decided to fight the picture robot and leave you a message…. There is a full moon this Christmas… neat huh?